Lexicon has been doing Halls since, well, you could do a Hall. Our digital Halls first hit the studio in the 1970’s with the legendary 224 and haven’t missed a day since. With the introduction of the PCM Native Hall Reverb, you can create incredible mixes on your laptop or desktop anywhere in the world. A hall is a comparatively large space with wall-to-wall distances that are typically several tens of meters. They are the principal venue for classical ensembles, but have proven to be useful for all types of music. The Lexicon® Hall algorithm provides an exceptional reproduction of these large, wide, panoramically wonderful spaces. The Hall algorithm shares these basic characteristics with the Random Hall and Concert Hall algorithms, but is smoother with a more even decay. Its initial density is also lower than Random Hall. 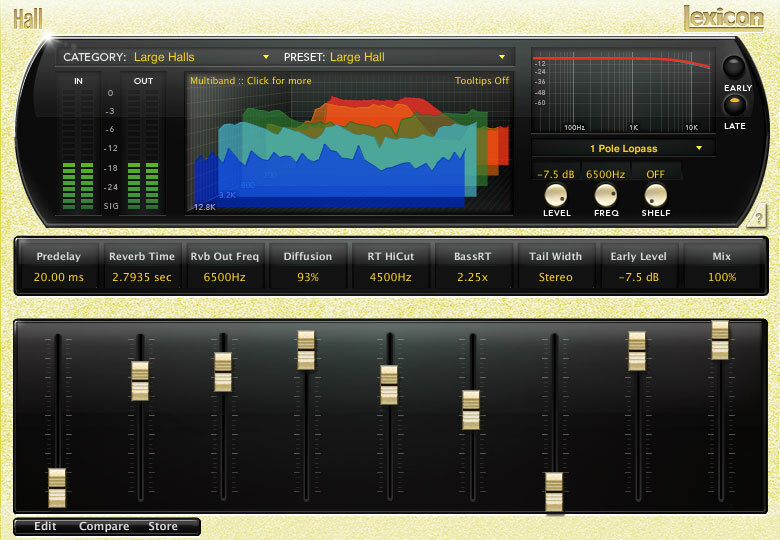 The Hall plug-in provides a lush, natural, and unobtrusive reverb and works great on orchestral or classical instruments. If a digital reverb couldn’t accurately represent a hall, it would be a nice, but limited tool. Lexicon has mastered the intricacies of this three dimensional space and enhanced the experience with layer upon layer of configurable options. 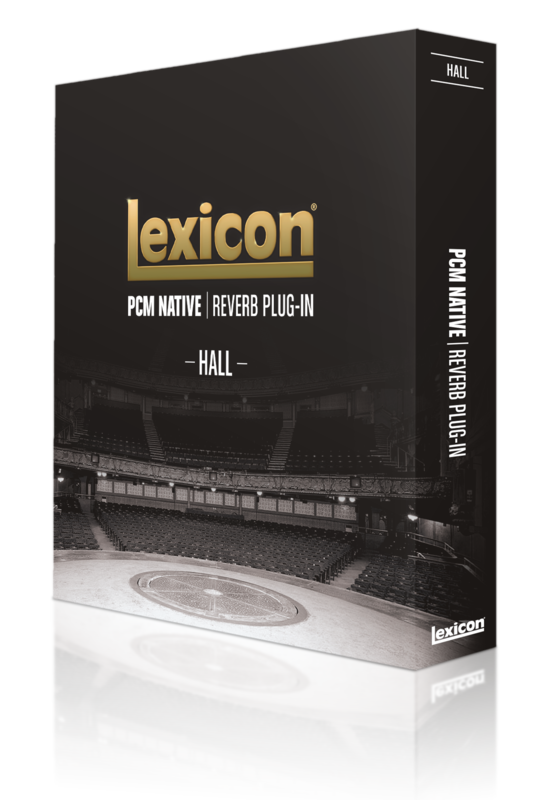 If you have heard a hall reverb in a modern recording, chances are, it’s a Lexicon.